Considine is 26 years old and has played Gaelic Football for 20 years since she was six years old. 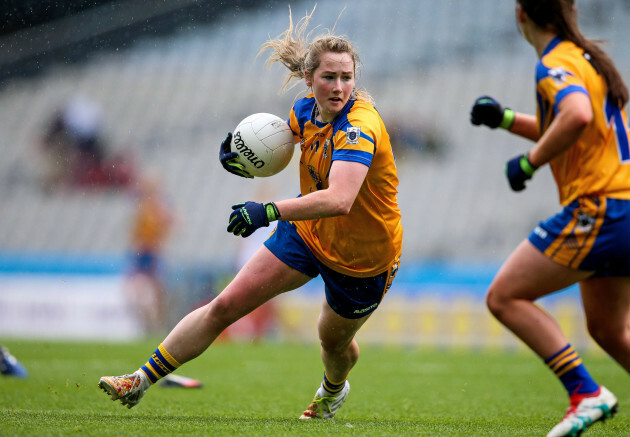 “I’ve been playing at the highest level for my county (Clare) since I was in primary school,” Considine said. When it comes to the significance of her signing for women’s footy in Ireland and internationally Considine feels it has brought greater publicity to the game back home. Especially with five Irishwomen currently playing AFLW. Considine says "the interest has grown significantly and I think a few more International girls will be looking to play the sport with the news of four new teams for next year", so this will be huge for women's football with the game growing signficantly in Ireland. Considine has one sister and when children they both played many sports including Camogie (a women's Irish stick and ball sport similar to hurling). Camogie is a popular sport in the Irish communities. “My sister and I played many sports as children and a hurley and sliothar (ball) just happened to be one of the pieces of equipment we had at out disposal," she said. "My mother played it in her younger days and encouraged us to play. We were lucky our principal in our primary school in Kilmihil taught hurling to us after school and when I was 12 we joined Kilmaley Camogie Club." Considine recently played in the Northern Territory to get some match time under her belt ahead of the AFLW. “It was a great learning experience for me because I got a great knowledge of the rules and how the game flows," Considine said. 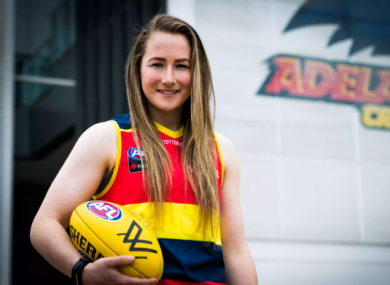 The leadership skills that Considine feels she can add, as a player to the Adelaide Crows AFLW team is her diversity and different skill sets. For Considine the biggest changes from Gaelic Football to the AFLW so far have been to adapt to the oval ball, changing her kicking and tackling techniques.